The Military Strategy Browser game! 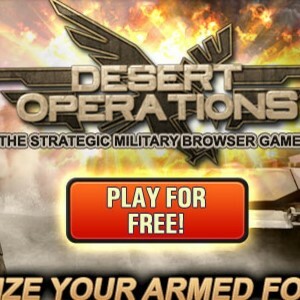 This innovative online game Desert Operations, the official successor of the classic strategy Operation-Weltherrschachft from 2001, provides long-lasting fun for his players who can fight amongst themselves as rulers of a base with thousands of other players or ally with skilful diplomacy. Through the declaration of covenants and declarations of war of the influence of players rises on world politics.